This painting was done in February 2013 as a small exercise, on a piece of canvas board, sized at 10” x 12”. 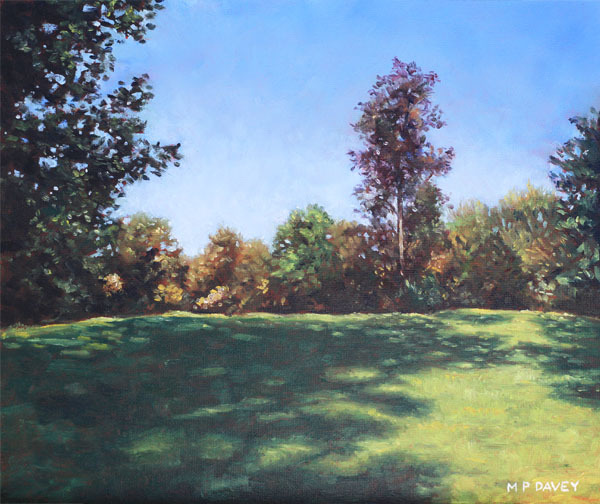 It is based on a photo taken of a corner of Palmerston Park, in the centre of Southampton, during the Autumn of 2011. I was struck by the colour full scene illuminated by the low autumn light. The park is right next to a busy traffic junction, which cannot be seen from this angle.